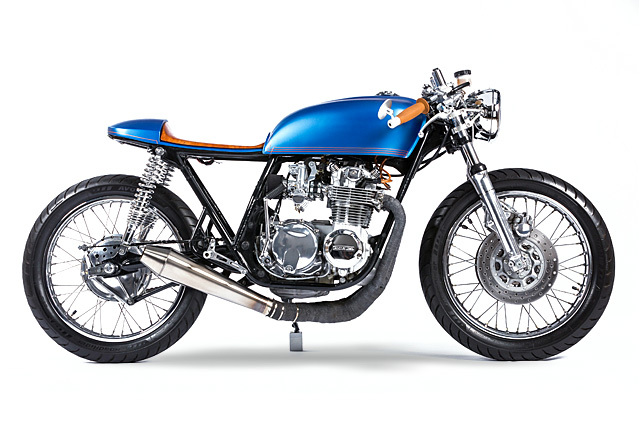 “That bike’s a classic!” It’s a phrase we hear all the time, and often it’s used far too flippantly for its own good. 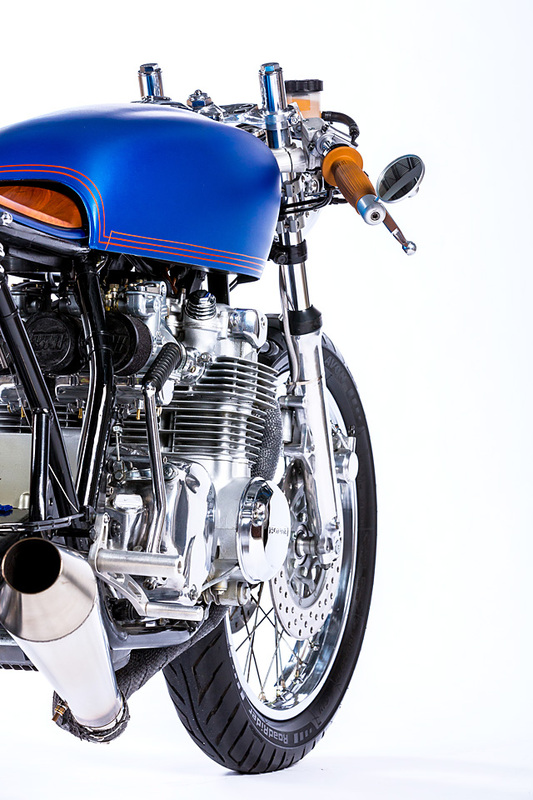 But if we were to use a, erm, classic definition of the word ‘classic’ it would mean that for any bike to truly deserve the title, it has to be ‘of an exemplary standard within a traditional and long-established form or style.’ Of course, many of the bikes that grace our pages are far from being traditional in form. Hell, some are the exact opposite of that. But for the lucky few who do live up to the title, adoration of a bike that we know will look as good in 100 years as it does right now awaits. And the latest candidate for the title? 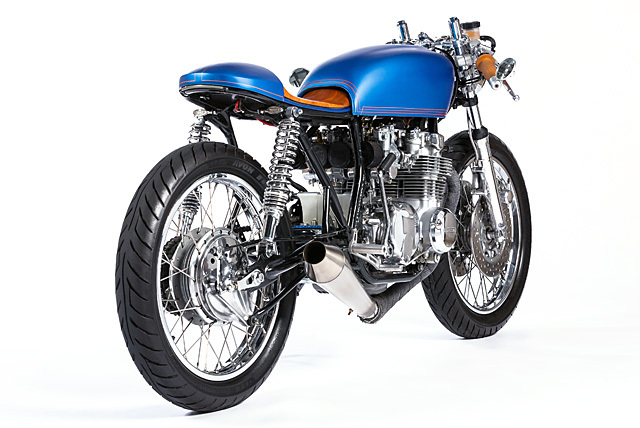 Meet MONNOM’s latest, a classic Honda CB550 cafe racer if ever we saw one. Based in Des Moines, Iowa, MONNOM is the sole creative work of Mike Gustafson. “My wife Sandy and I also own and operate Nestcraft Studio, which creates high-end custom furniture on a commission basis. 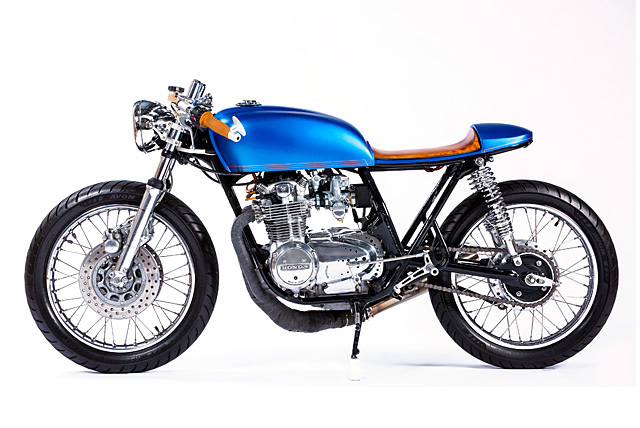 So I applied the same design aesthetic and attention to detail I use on my furniture commissions to create this project.” Mike does some mechanical work, specifically on early to mid 70’s Honda motorcycles for friends and fellow cafe enthusiasts, but he is most interested in creating classic, well-proportioned cafe racers with some modern performance upgrades. Then turned his attention to the electrical system. 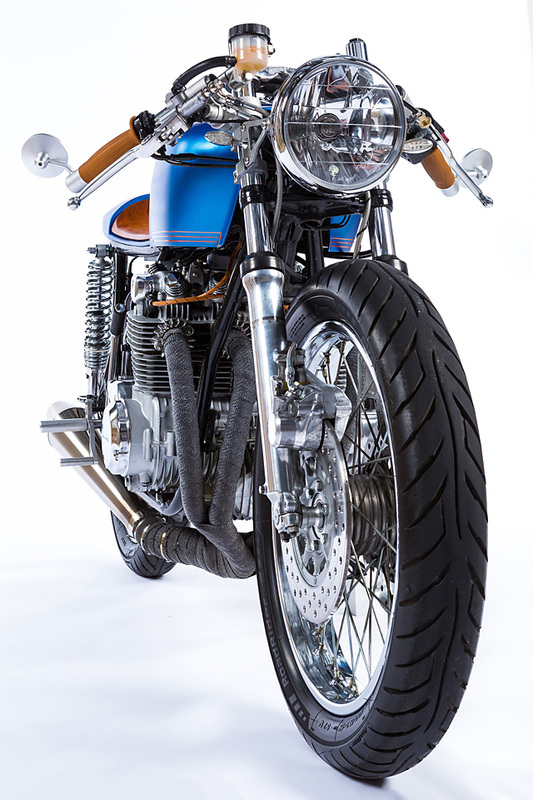 “Sparck Moto supplied a custom loom to my specifications that included an upgraded regulator/rectifier unit. I then installed a new set of left hand controls with a simple on-off switch relay. 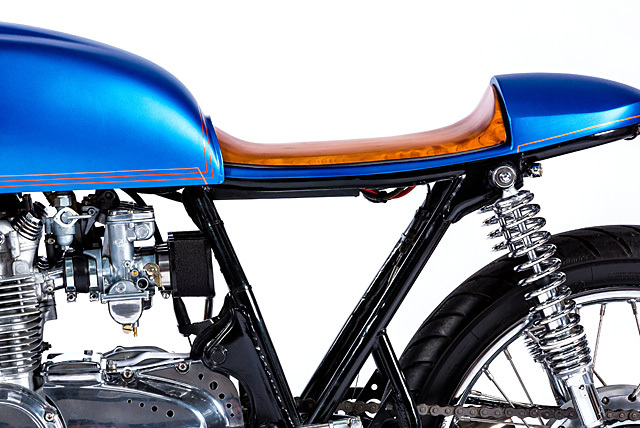 The large-ish 7″ headlight was the perfect size to custom flush mount a Motogadget Motoscope Tiny gauge.” Mike then installed an LED rear light strip with a dual intensity circuit by Custom Dynamics, along with small LED turning indicators. 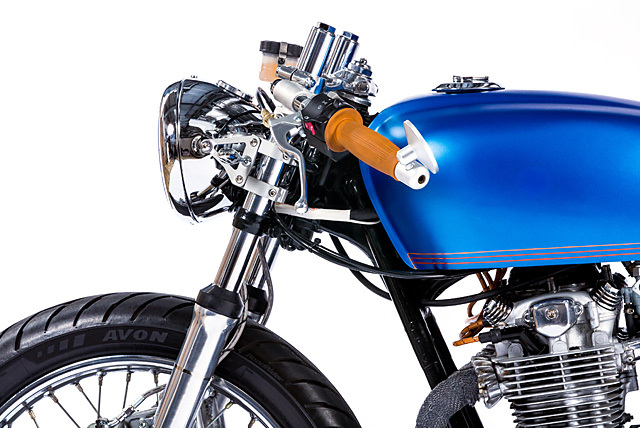 A tiny 4 cell lithium-ion battery is tucked under the seat cowl and it supplies enough cranking amps to easily start the bike. An electronic ignition from Dyna and a new set of 5 OHM Dyna coils finished off the electrical side of things nicely. “I rebuilt the top end of the engine with new rings, a cylinder hone, gaskets, cam chain slipper, seals and a valve job. The engine cases were then hand polished and the motor was painted, too. 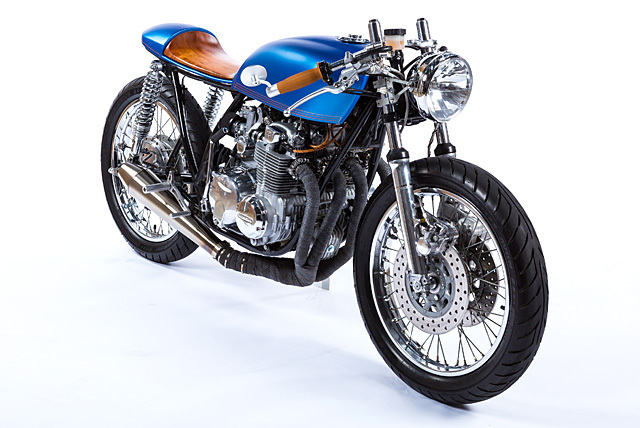 A freshly powdercoated, plated and polished set of CB 500 carburetors replaced the stock carbs that were literally falling apart.” Mike then wrapped a new set of MAC 4 into 1 headers and added an 18″ reverse cone stainless steel slip-on from Cone Engineering. 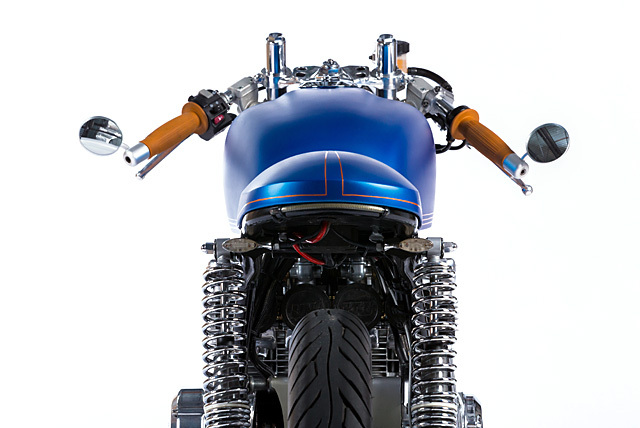 CNC aluminum rearsets were installed with hand-fabricated linkages and the clutch basket was also rebuilt to Mike’s exacting specs. 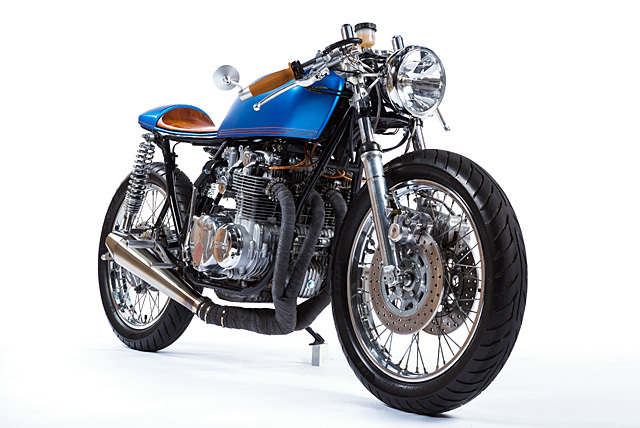 The resulting bike is one that has about as much chance of ageing badly as Plato or da Vinci have of becoming the latest thing to be embraced by the cool kids – and we wouldn’t want it any other way.